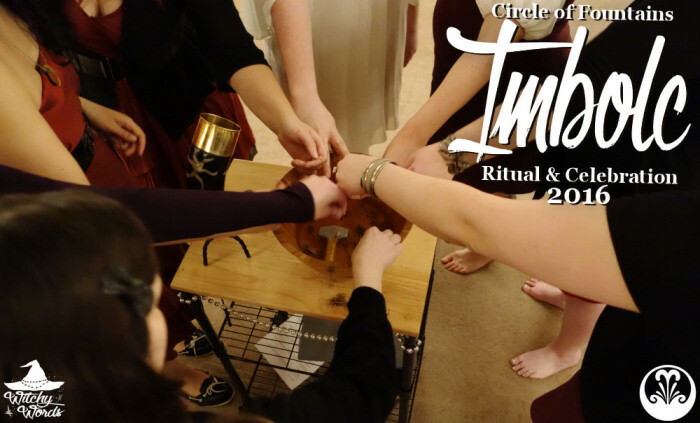 To see the Circle of Fountains 2015 Imbolc ritual, click here! 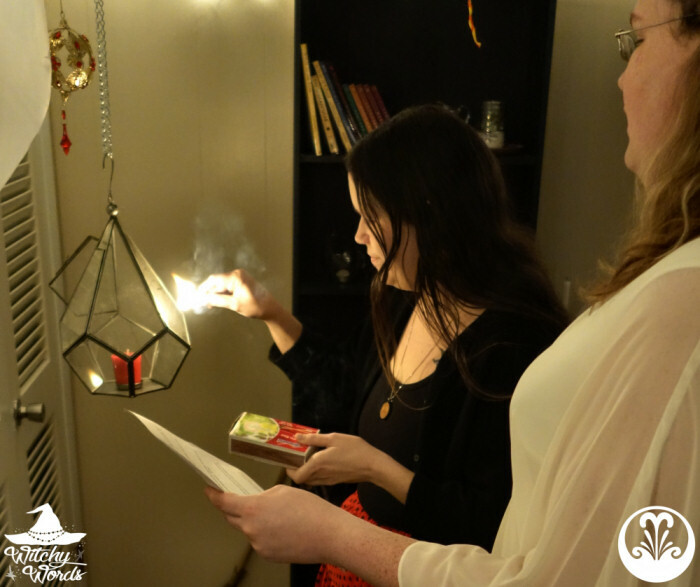 Before we begin, a small side note that Liithi Lushede unfortunately did not hold an Imbolc ritual this year. The typical event space for their rituals, the community room above Aquarius, sadly burned in December. The damage was incredibly severe, but they've been working diligently on rebuilding. It is due for reopening in mid-February, however, so hopefully things will turn up soon! 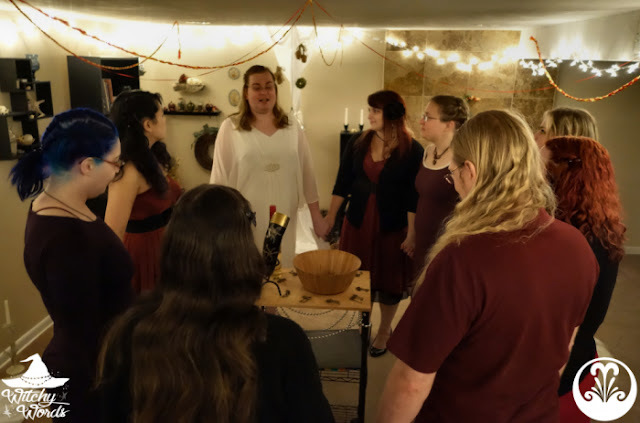 The Circle of Fountains Imbolc ritual was written by Kira this year! 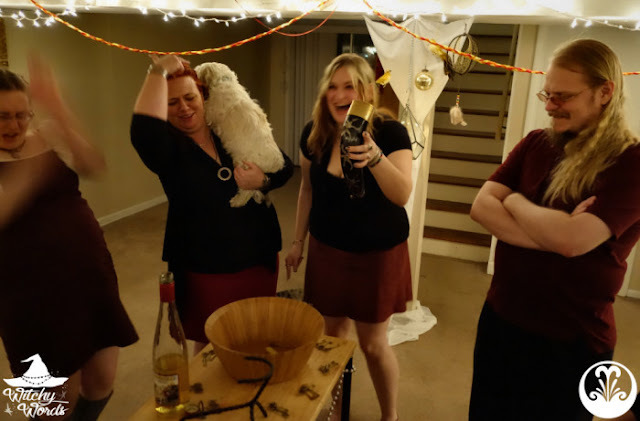 Kira is our resident Heathen of the group, so she was able to put a Northern twist on the holiday. Of course, I'm not heathen myself, so if I've made a mistake please let me know! 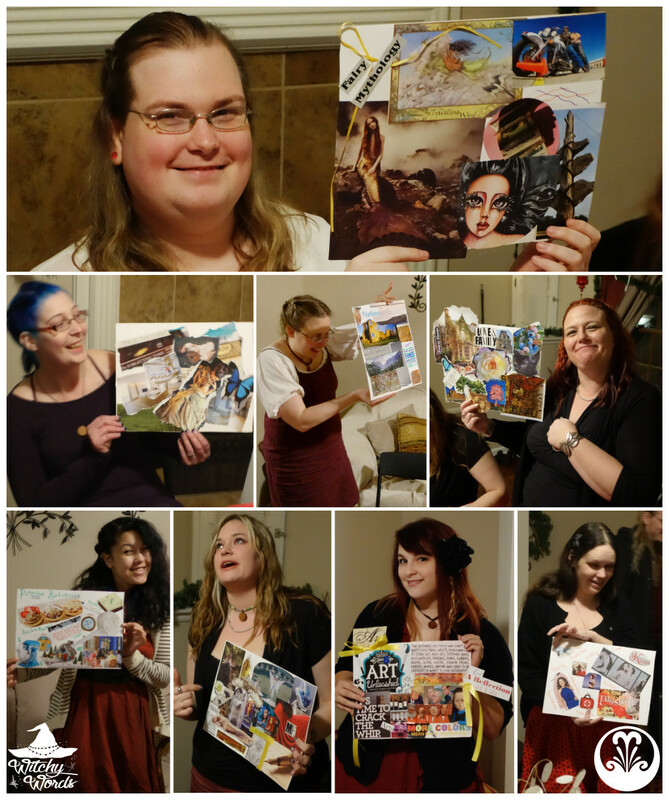 We began by creating vision boards! Vision boards are perfect for new beginnings and fresh starts, a common theme throughout February Eve. This is both a practical and, if you choose it to be, magickal tool for finding focus and clarity on a dream or goal. 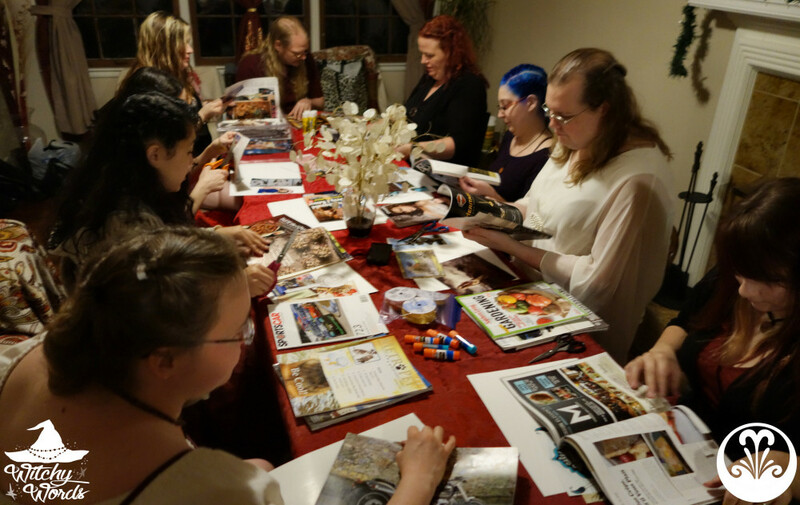 Every circle member brought clippings and magazines to help build the vision boards. Additionally, markers, glue and ribbon were provided. 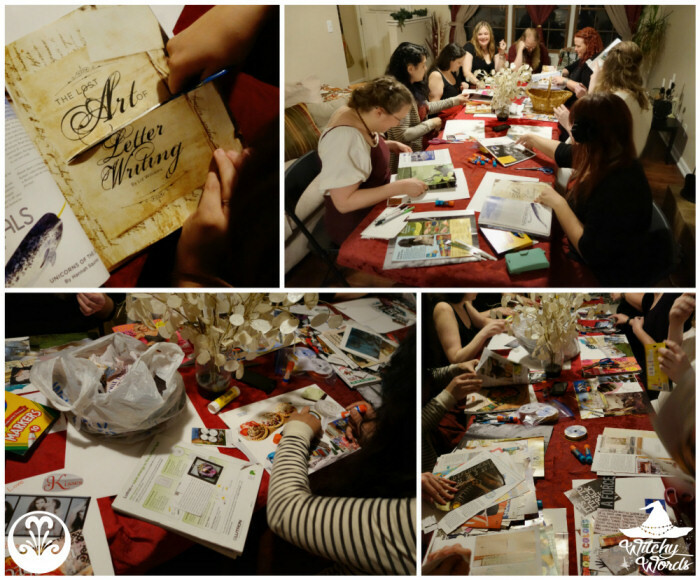 Our circle came up with some stunning boards focusing on everything from travel to family to careers and more. If you'd like to see them in better detail, click on the picture above! 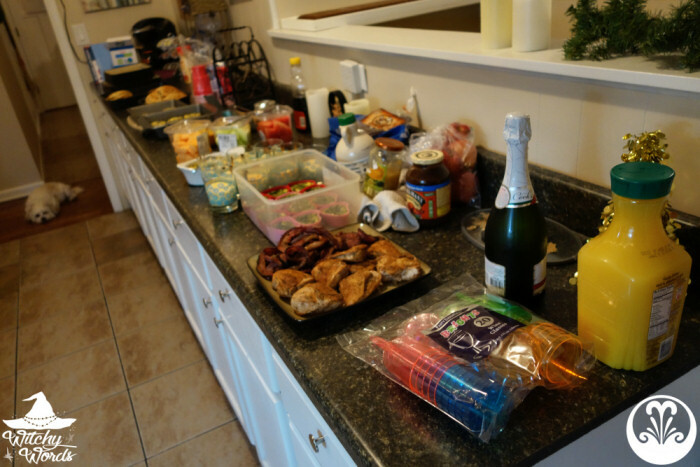 We then cleared the dining area and set up for our potluck! Our circle Nutritionist, Kolika, thought brunch would be a great way to celebrate Imbolc/February Eve. How fitting for the second holiday of the Wheel! And with that, we ate! Once our meal was over and we were properly stuffed (and believe me, I mean stuffed), we headed downstairs for ritual! 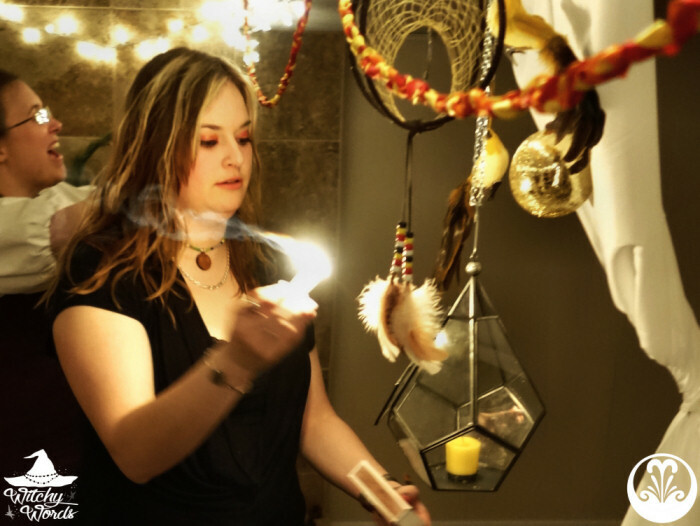 Kira began by explaining that, as a Celtic holiday, the Norse did not celebrate Imbolc. 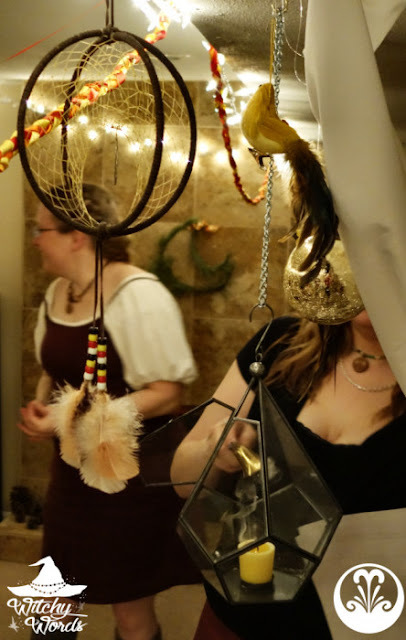 However, she utilized two Heathen rituals to create an Imbolc theme: The Blot and the Sumbel. Before beginning those, we would first call the quarters. The Norse believed that the world had four directional corners and that, holding up each of those corners was a drawf. In the east, we called upon the drawf Austri. In the south, the drawf Sudri was called upon. And in the north, we called upon Nordi. 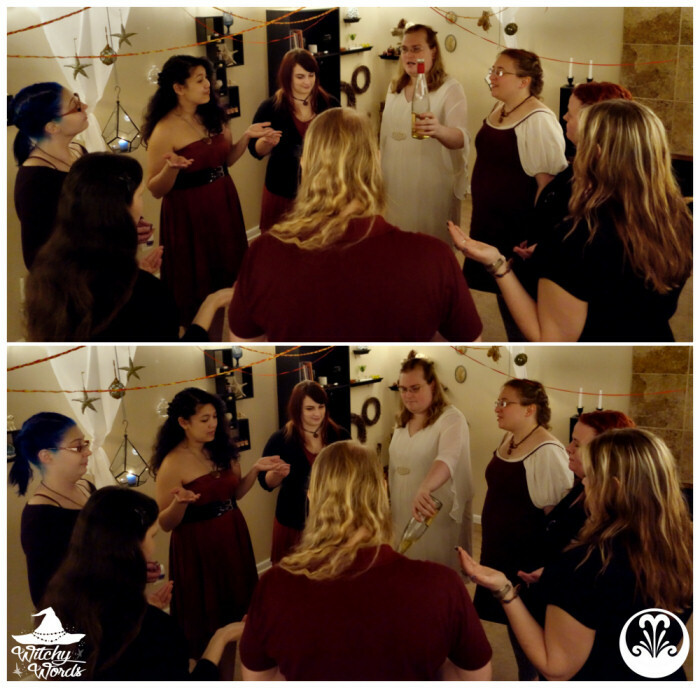 While calling the quarters isn't necessarily a part of Heathen practices, the elements have become a fundamental way we as a group, with all of our various beliefs, connect. 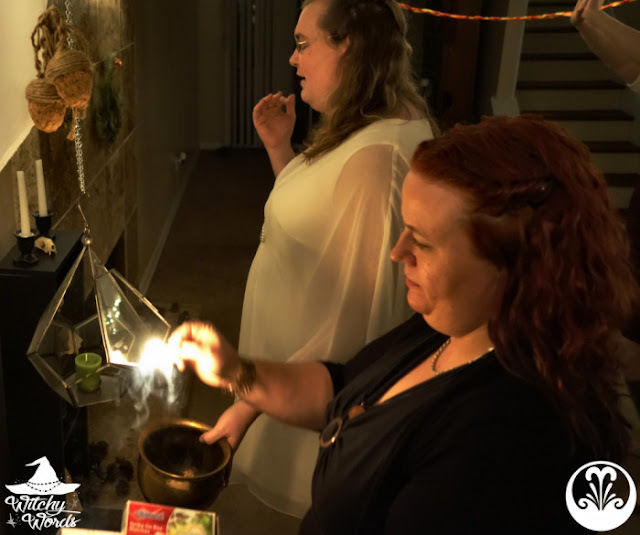 Because Kira so strongly believes in them as well, she felt it was still important to do quarter calls for this ritual. We then began with the first part of the ritual: The Sumbel. 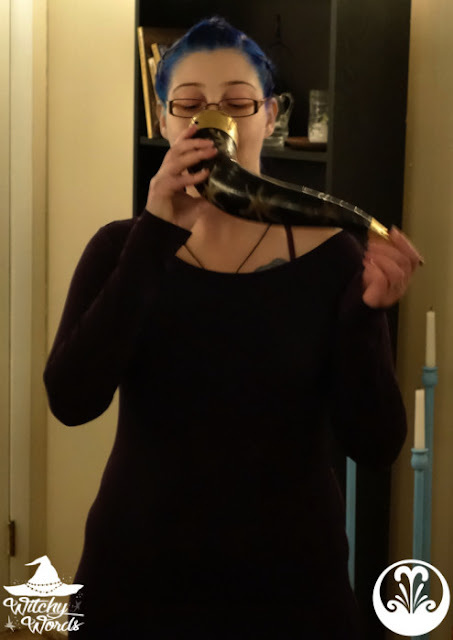 In this portion, we drank mean from the horn first to a deity, ancestor, spirit or spiritual concept. Some chose certain gods, such as Selene, Freya or Bast. Others chose ancestors, such as a grandfather or past figure. Still others chose to drink to spiritual concepts, such as the home or the elements. 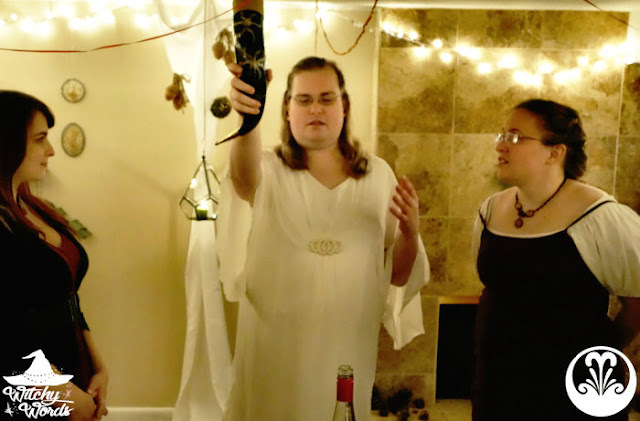 After we drank to our gods, goddesses, spirits, ancestors and so forth, we then passed the horn and drank to an accomplishment. The Norse believed in recognizing one's achievements was not a negative act of bragging but a way to feel pride and completion in oneself. Some drank to personal achievements and hilarious stories of the past month. Others focused on their career or schooling in a more somber way. 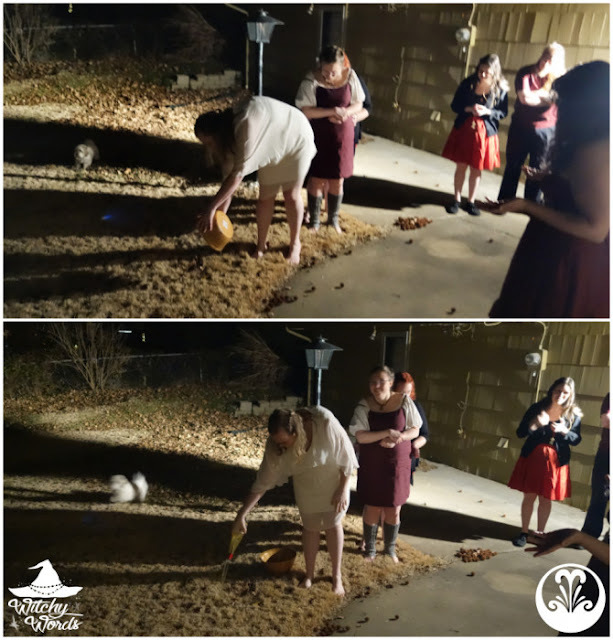 Neither way was inappropriate for the ritual. 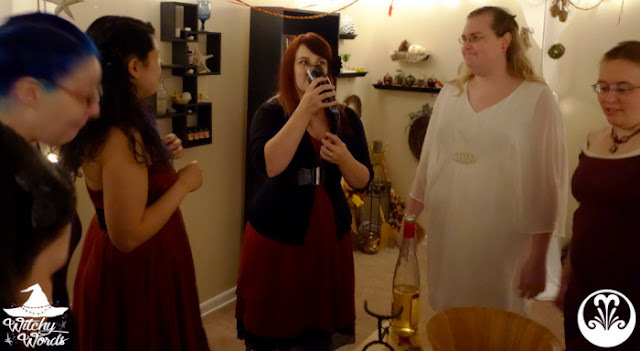 Once the mead was drank, we entered the next part of the ritual: The blot. A blot is a sacrifice, typically to the gods but, in this case, whatever each member believed in. 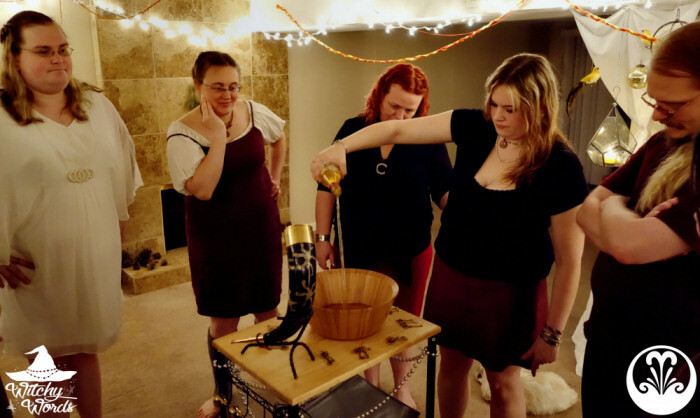 This sacrifice used to be an animal that was then feasted upon, but it's more common today to use mead. 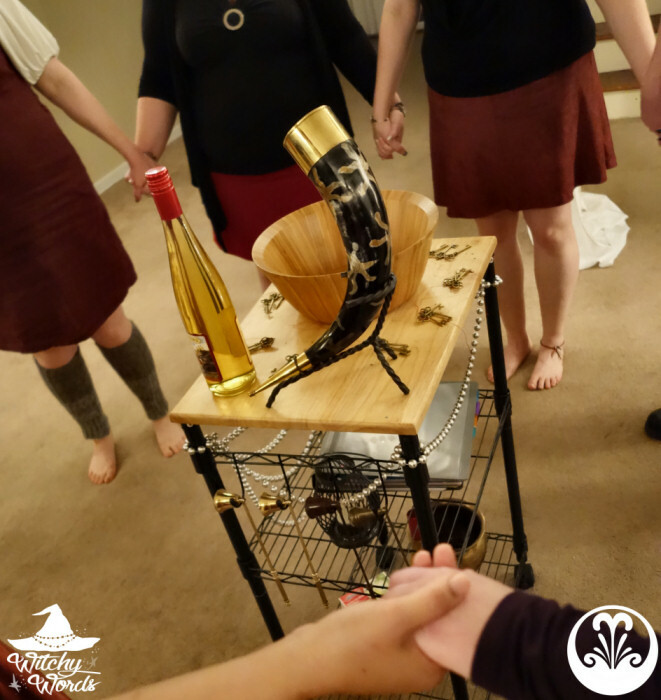 Each member passed the blessed bottle of mead around and stated an oath. This oath was both a promise that member made to themselves as well as a promise other circle members made to help them with. 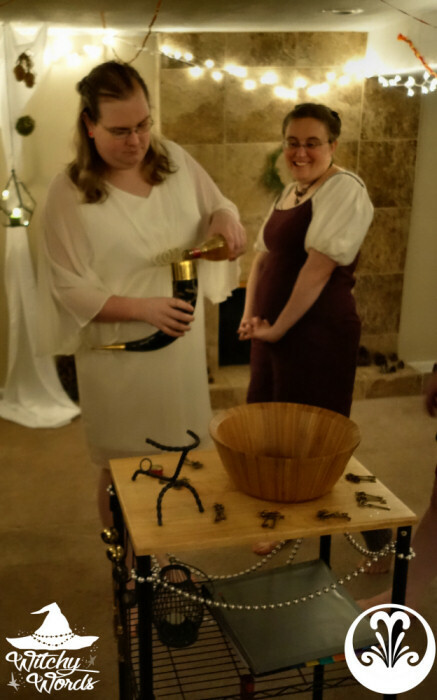 They would then sacrifice part of the bottle of mead into a bowl. 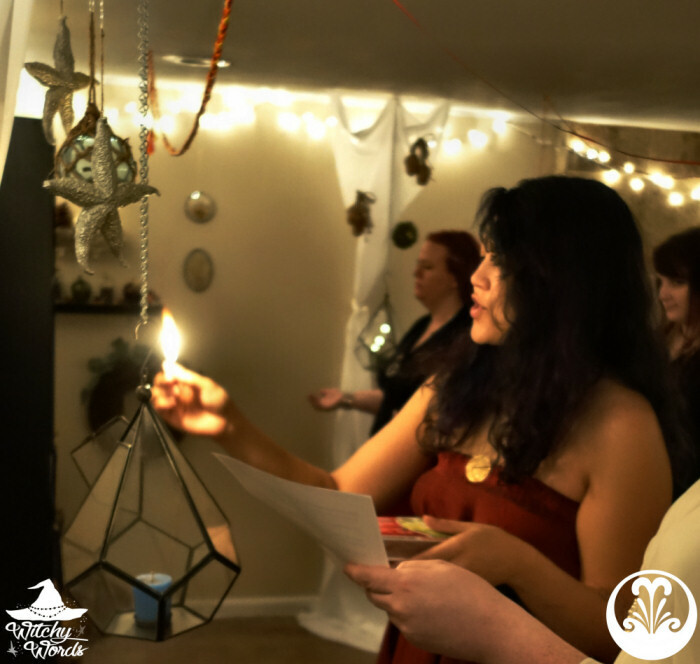 Oaths included everything from mental health goals, such as help with depression or being more open, to obtaining a home or a brick-and-mortar for their business. 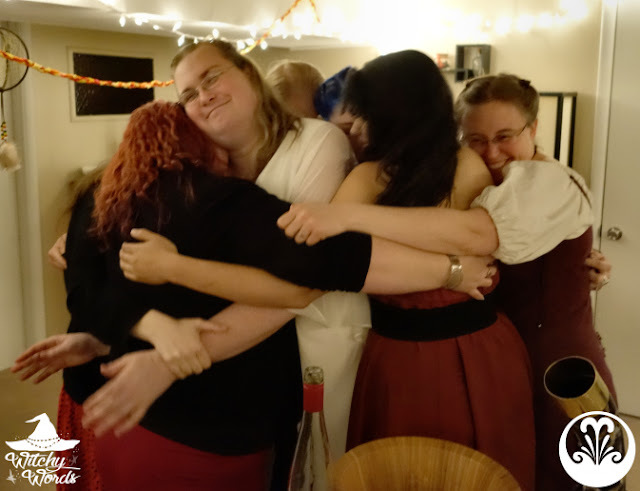 Once the bottle returned to Kira, the rest of the mead was offered as a dedication to one another as a circle. 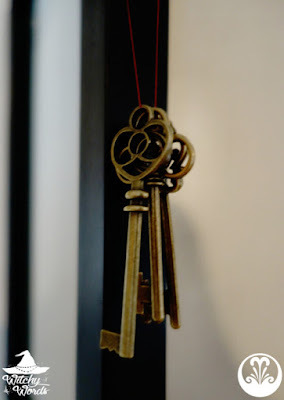 Kira then presented each of us with a set of three keys. During this time of the year, it was common for the Norse to bless their plows for the upcoming spring planting. However, since plows aren't necessarily in much use here in the middle of urban Kansas City, she instead offered us keys. 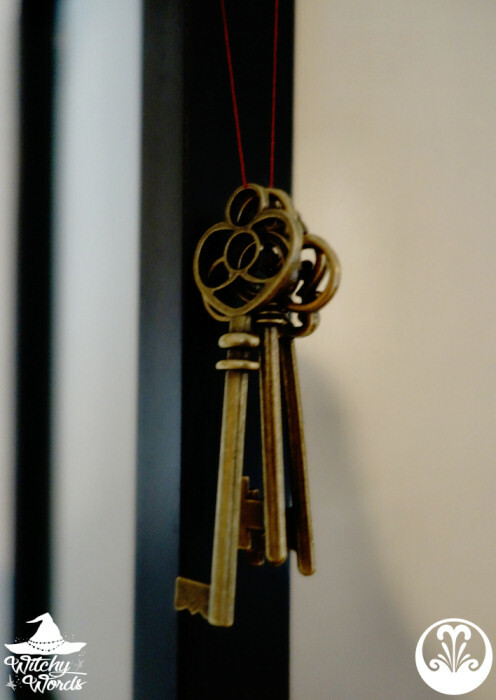 Keys are a common tool in everyday life. You carry them around with you any time you're out of the house, and use them to open everything from your door to your car to your journal to your safety deposit box and more. 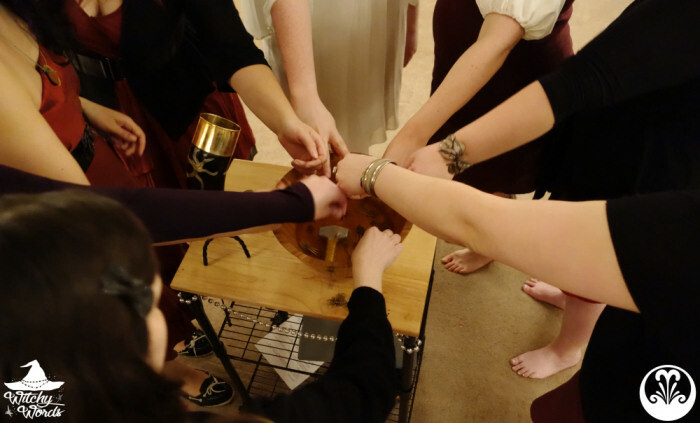 Our ritual leader then asked us to take the keys and dip them in the sacrificed mead to charge them with the oath we took, not just to ourselves but to one another. At that point, we closed the circle, releasing the dwarfs at their corners, and then headed outside! 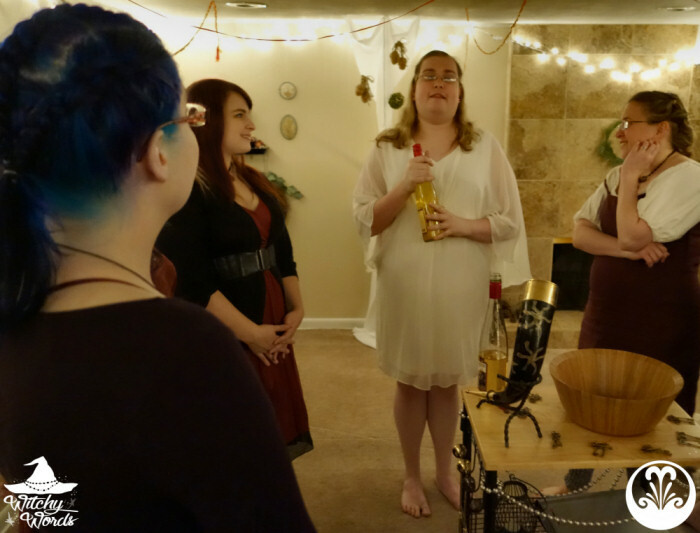 By going outside, Kira could complete the final part of the ritual: Offering the sacrificed mead back to the earth! And with that, our ritual was complete! 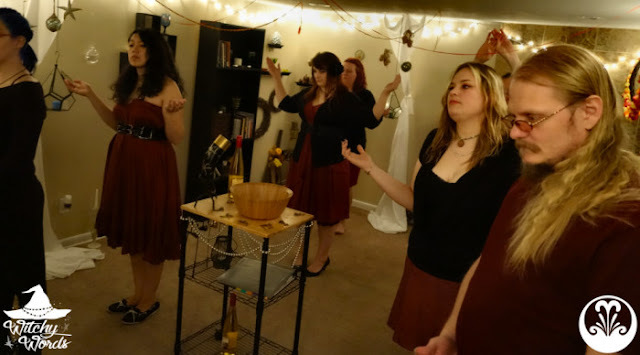 Kira did such a fantastic job with this ritual, and gave us all a taste of her belief system. That's what's so wonderful about our circle: The varying beliefs and practices we incorporate give us such diversity and flavor. Hopefully, you enjoyed it as much as we did! 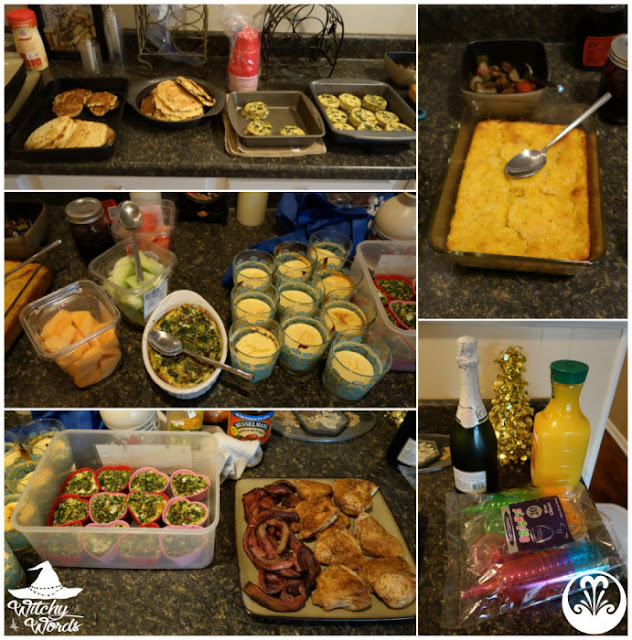 From my family to yours, we hope you had a wonderful February Eve! Thanks for sharing your celebration it was really interesting. This year with my circle we worked with the Brigid cross and used it by writing our wishes and hopes on it, but I love the vision boards so much! It's a great idea. Thank you so much for reading! I'm glad to hear you and your circle had a fantastic Imbolc as well! 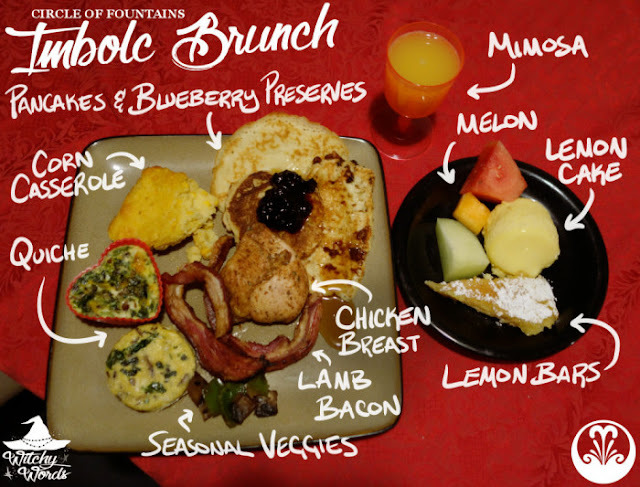 Those Imbolc cupcakes sound delicious! Great work! That's a good example of a Wiccatru ritual.